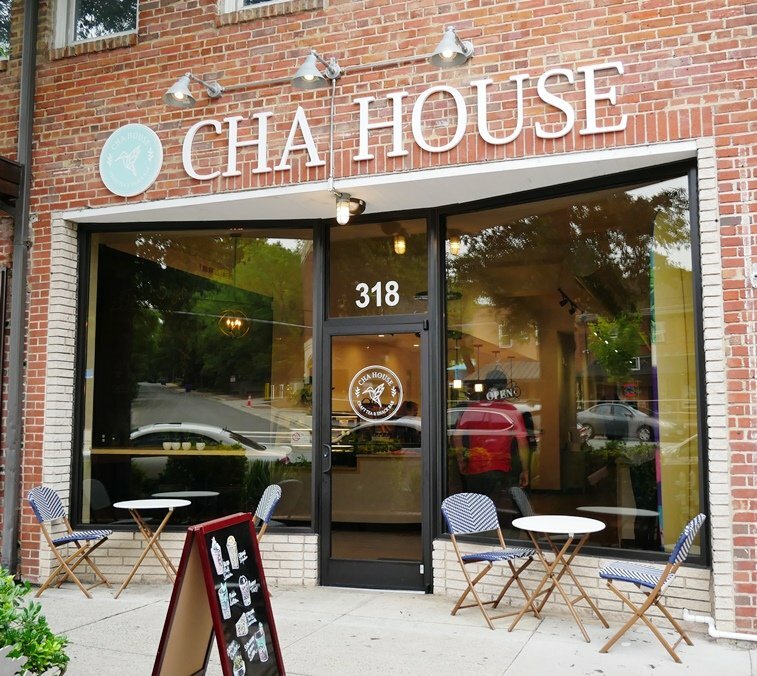 Cha House, Chapel Hill - An Oasis for Boba Tea and Asian Snacks! 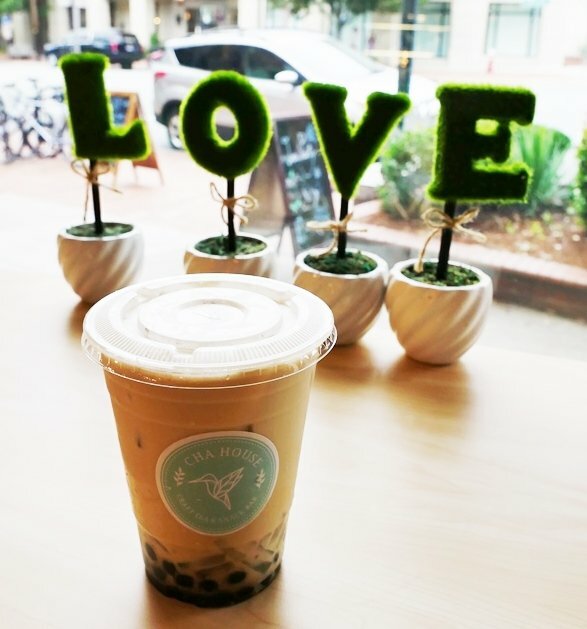 If you’re a fan of boba (bubble) tea, you’ve probably got a favorite GoTo spot in the Triangle. 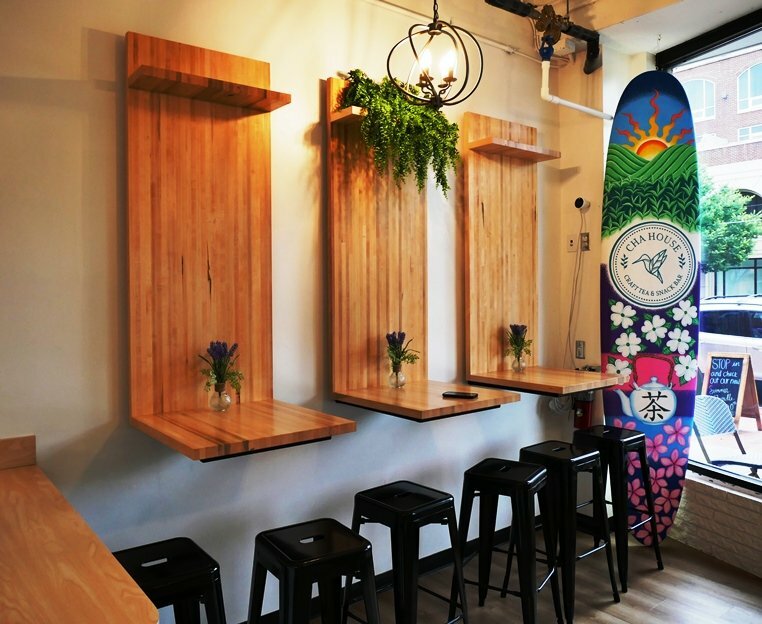 From Vietnamese restaurants to Asian markets, boba tea is often available in a variety of locations but in the past year or so, the Triangle has started to see dedicated boba tea spots open up! 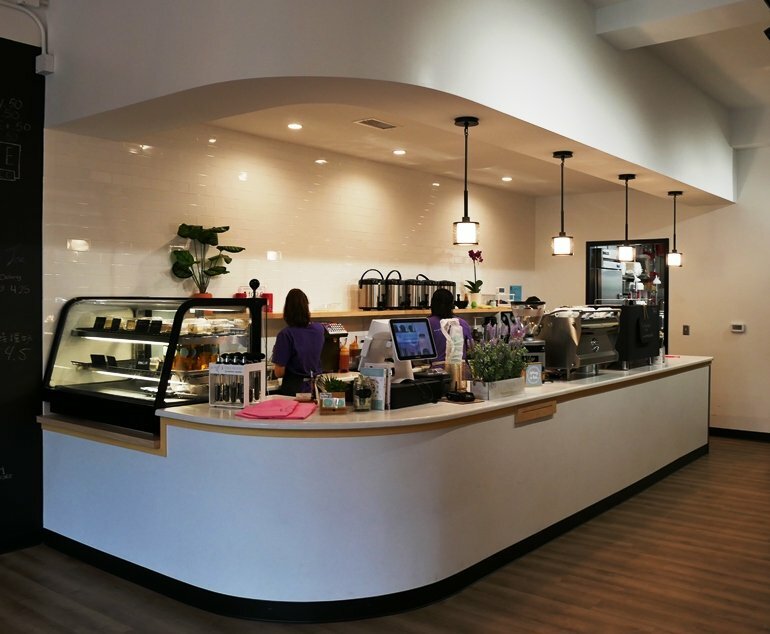 From Quickly and Kung Fu Tea in Cary to Cha House in Chapel Hill. And if you’re not familiar with boba (bubble) tea, it’s a popular drink originating from Taiwan that usually has tea, milk and sugar served over ice along with chewy tapioca balls at the bottom. You typically drink it through a large diameter straw, it’s a refreshing and fun way to quench your thirst. And I’ve got to tell you that the new Cha House is a great spot to get your boba (and snow ice) on! 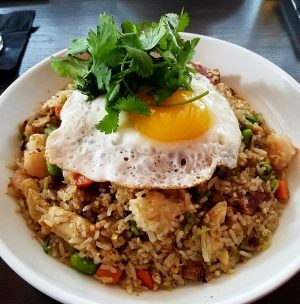 Head on over to Franklin Street in Chapel Hill and you’ll find Cha House. Cha means tea in Mandarin Chinese so you know what this place is all about! Inside Cha House you’ll find a super bright, white and light space bustling with students. It’s modern and open with the tea bar to the left and a bunch of four-tops to the right. Some unusual floating tables in natural woods sit at the front of the space for some casual seating! 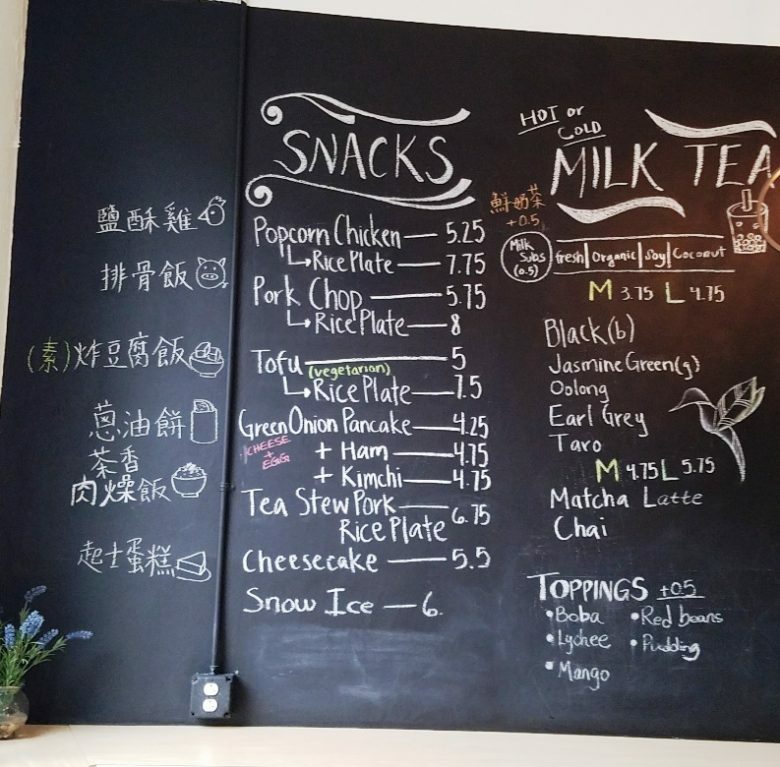 The huge chalkboard menu up front at Cha House lists out your choices ranging from milk teas, fruit teas, and even cheese capped (light cream cheese) teas! 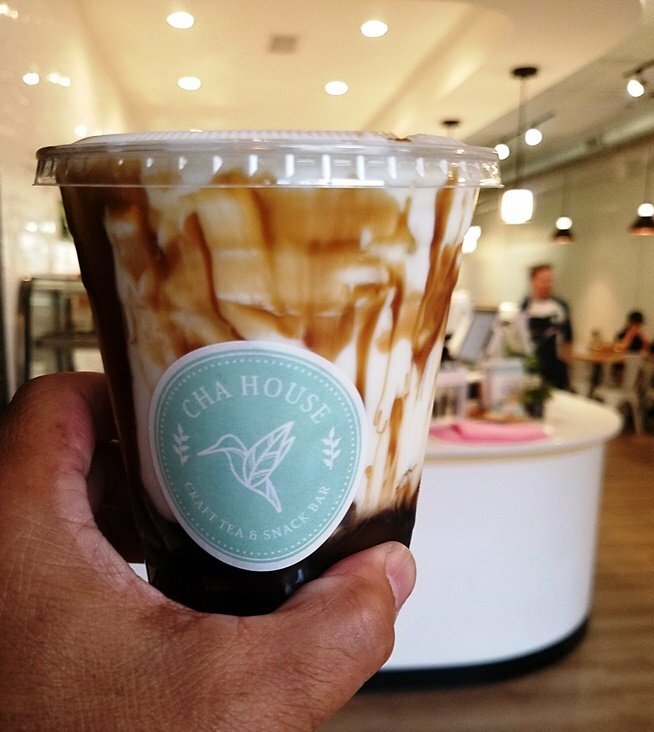 Cha House offers up black, Jasmine, Oolong, Earl Grey, and matcha tea along with taro and chai for your base drink. You can also bling out your milk tea with red bean, boba, lychee jelly or mango along with adjusting the sweetness and ice in your drink. Like many of these boba tea spots, Cha House also offers up a small assortment of snacks (popcorn chicken, green onion pancake, etc) to tide you over. 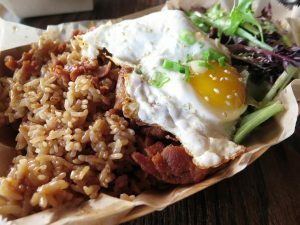 Note that this menu should be expanding as Cha House gets settled in after their opening. I’ve tried out a couple of teas at Cha House, an Oolong milk tea with boba and lychee along with the “Dirty Tiger” drink! The Oolong tea was super-fragrant and smooth with smaller, chewy boba pearls. The lychee jelly is actually minced lychee fruit dropped into your drink, a nice bonus. And the Dirty Tiger is based on brown sugar and milk making for a non-caffeinated drink, perfect for later hours. Note the brown stripes resembling the stripes of a tiger (I guess :-). It was really refreshing and I had it as dessert at the end of an evening. All in all I really like the space at Cha House and its take on a modern boba tea shop. Fun for kids, fun for college students and fun for adults, who doesn’t enjoy slurping up some soft milk tea and chewy tapioca balls? The milk teas here are excellent and the modern interior very nicely done, the space just feels right. 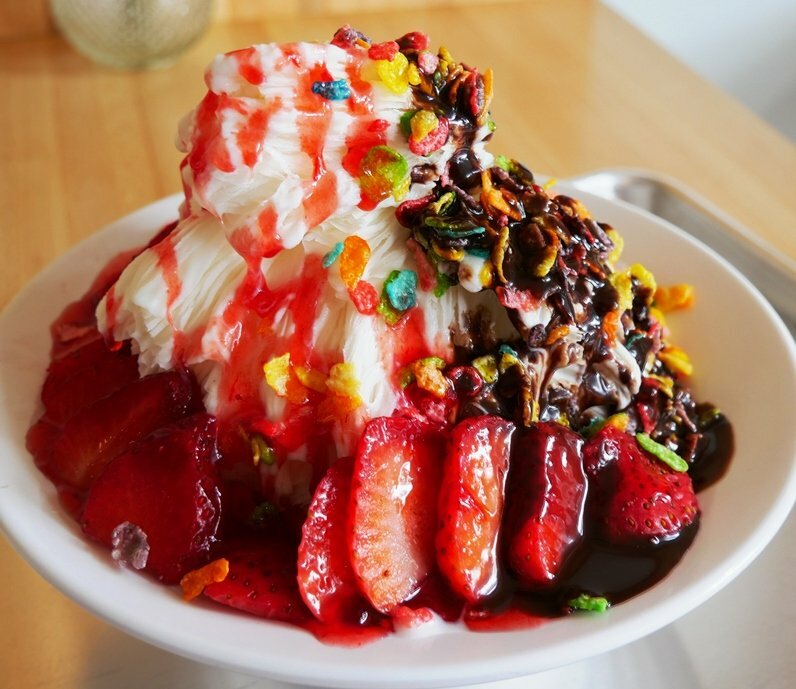 And they’ve added Taiwanese snow ice to the menu as of September 2018. Stop on by if you’re up for an afternoon refresher or after dinner sweet in Chapel Hill!